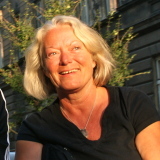 Sabine Wilke is Professor of German at the University of Washington. Her research and teaching interests include modern German literature and culture, intellectual history and theory, and cultural and visual studies. She has written books and articles on body constructions in modern German literature and culture, German unification, the history of German film and theater, contemporary German authors and filmmakers. Most recently, Wilke was involved in a larger project about German colonialism and postcoloniality and the question of comparative colonialisms, especially how Germany related differently to Africa and the South Pacific. With assistance from the Alexander von Humboldt Foundation Wilke is directing a transatlantic research network on the environmental humanities and is working on a new project on environmental criticism, in particular the overlapping concerns of postcolonialism and ecocriticism.